I feel like my projects are taking over and I am run down. so taking a break from projects for a bit. Are any of my friends going to Blogher in San Diego? I need a buddy! Email me! and adjusting those that were missing info. or not an entry, etc. it didn't start out this way! 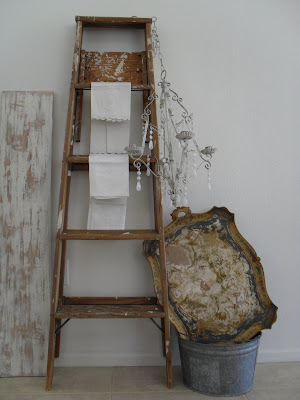 Studio 1404 shared a shabby delightful dresser! Adorn on a Shoestring shared a charming version of subway art. I love these features! Thanks for hosting Courtney! Hi Courtney, Great features this week. 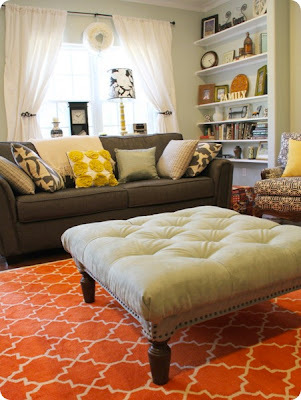 I love the living room in the tufted ottoman post and that dresser. LOVE! I've linked up a couple little cutie side tables. Thanks soo much for hosting! Have a great weekend. Great features, Courtney. I can't wait to see your painting project all completed. I'm sure it will be gorgeous. Hope you have a great weekend! ...girl, we need another 12 hours added to our days ~ LOL!! Can't wait to see more of what you are working on!! Great features this week and thanks for hosting! Terrific features! Love that french label table! Just Gorgeous! Thanks for sharing. Thanks for featuring my dresser! Wish I had something to share this week. Loving your blog!!! Thanks for hosting Courtney. Anxiously awaiting your reveal. Great features. I was drooling over Dore's house as well. Thank you for hosting these wonderful parties each week! Great features, Courtney. Thanks for hosting and don't work to hard. I love all these...so much talent out there. Thank you for hosting. I am now a follower through GFC. I love the moulding on your bookcase. Enjoy your projects - I'm sure the outcome will be fabulous! Great party Courtney ~ thank you! Nice features, Courtney! Thanks for hosting! Wonderful features! Thank you so much for hostin, Courtney!! Have a fabulous weekend! I love your features and you bookshelf looks lovely. I have several paint projects I may be painting indoors. Thanks for having us and for linking to HSH! It really is such a busy time of year! Thanks for hosting ,Courtney. I just don't know how you do it all! Great features, and thanks for hosting. Fun features! Thank you for hosting and have a great weekend! Thanks for hosting! Missed your link party last week, but joined in today. Thanks for the blog comment. Thanks for hosting Courtney! I can't wait to see your projects finished! Have a good weekend! Courtney, great features. Thanks for hosting this party this week. 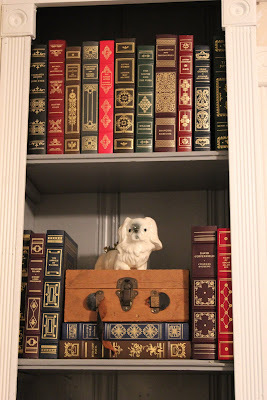 Love the look of your bookcase. Thanks for hosting Courtney. Sounds like you are one busy lady. I hate painting French doors. Can't wait to see your finished projects. Have a great weekend! 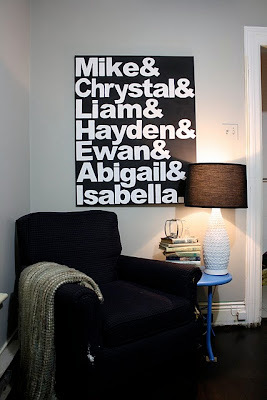 Phew Hood luck with those doors.I am linking for the first time today and am thrilled to find all these lovely posts! Thank you for having me ! Thank you SO much for the feature, Courtney!! Hi Courtney! Good luck on your painting project! Can't wait to see the transformation. :) And thank you for hosting yet another fabulous Feathered Nest Friday party. I haven't joined in for quite some time, and I'm so excited to be back. Can't wait to go blog browsing now. Thank you for hosting...this is my first visit to your blog! I am your newest follower and I would love for you to check out my blog. The dresser is awesome...I love the color. Wow Courtney, so many wonderful and inspiring ideas...Love the subway sigh idea. Can't wait to see more. Thanks for hosting such an awesome party. Have a wonderful weekend. What beautiful features, Courtney! Love the French table ... and, that gorgeous blue dresser is fabulous! Thanks for hosting ... they're so many great link ups ... I can't wait to visit them and be inspired. Have a great weekend. Thanks so much for your kind comments and for dropping by L'Heure Bleue At Home. I really appreciate you hosting Feathered Nest Fridays! Great features. Thank you for hosting this party. You are one very busy lady! I love that aqua dresser! Beautiful!